October 18, 2015, Queens, NY It’s just one game, but it was an important step for the Mets who lost seven straight games to the Chicago Cubs–but that was during the regular season. And, that was the Mets pre-trading deadline. Key additions made the Mets as good as any team after the trading deadline, and they proved that on a downright cold night by beating the Cubs, 4-2. 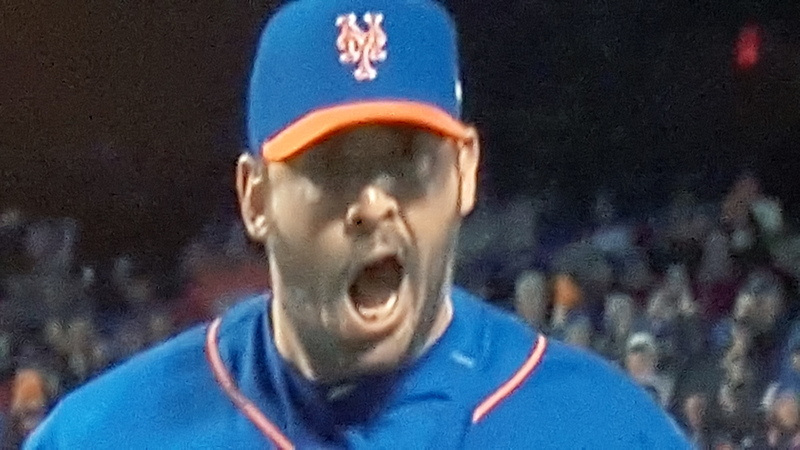 The Dark Knight, Matt Harvey, lasted 7 2/3 innings and struck out nine, and all talk of shutting him down is out the window now. The Mets have a really good chance to win their first World Series since 1986 (that’s nearly three decades). The Cubs may still be cursed, and the two teams on the other side of the ledger, the Toronto Blue Jays and Kansas City Royals, are not the 1976 Big Red Machine. Pitch counts are out the window. These opportunities don’t grow on trees. 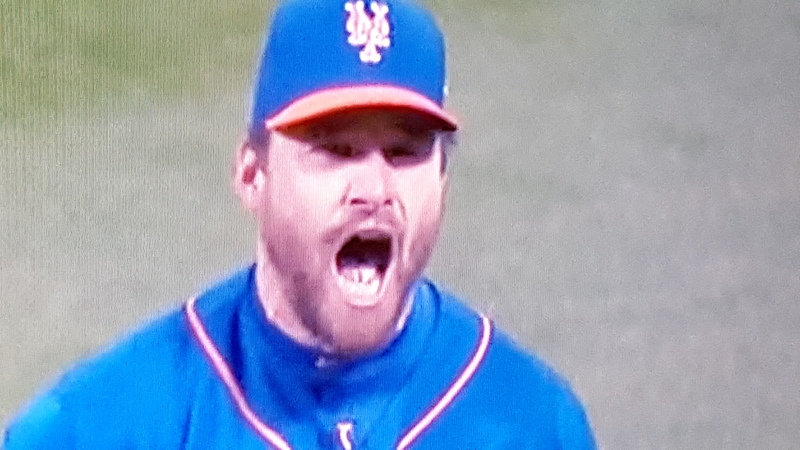 Daniel Murphy continues to be the Mets’ MVP in the post-season. Murphy homered to right in the first inning off of Cubs pitcher Jon Lester, and with the tying run at the plate in the ninth inning, Murphy made a diving stop on a would-be single and threw out the runner to end the game. Murphy is performing at the plate and with his glove. Curtis Granderson drove in two runs, one on a single to center in the fifth inning to give the Mets a 2-1 lead and the other on a sacrifice fly to give the Mets a 4-1 lead in the seventh. Travis d’Arnaud hit a homer to dead center field that landed 436 feet from home plate. Matt Harvey gave up the longest home run in the post-season thus far to Kyle Schwarber that traveled 461 feet. “I just tried to mix things up. I knew they were a good fastball hitting team,” said Harvey during a post-game interview when asked to evaluate his performance. 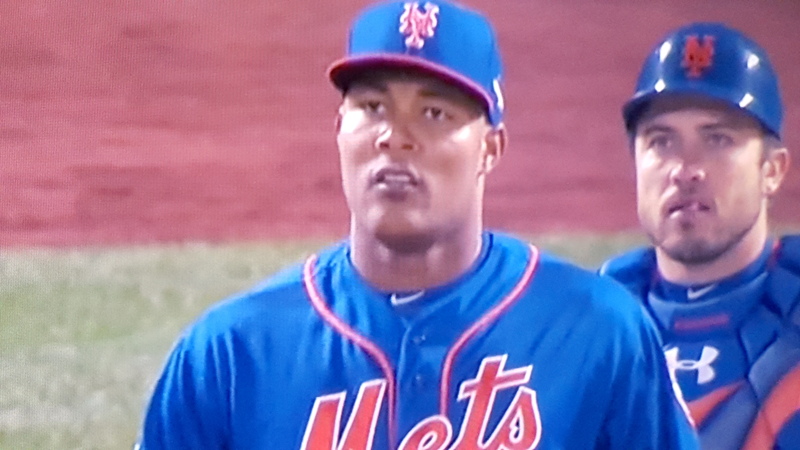 Jeurys Familia relieved Harvey in the eighth for a four-out save. Tonight, the Mets go against Cubs ace Jake Arrieta. Noah Syndergaard will take the mound for the Mets. Syndergaard is a good, young pitcher who does much better at home than on the road; however, the Cubs, under manager Joe Maddon, are resilient, cocky, and hungry. Game Two will air on TBS with the first pitched scheduled for 8:07 p.m. (EST). Temperatures at Citi Field will hover around the 40s.